When the Apple CEO endorses the Trump tax plan as good for the American economy, you know that it has to be good. This destroys, with prejudice, the argument from House Minority Leader Nancy Pelosi that this plan leads to Armageddon for America. What will the mainstream media do with this story? Apple CEO Tim Cook said in a recent interview that President Trump’s tax plan would result in a faster-growing economy and greater job creation. 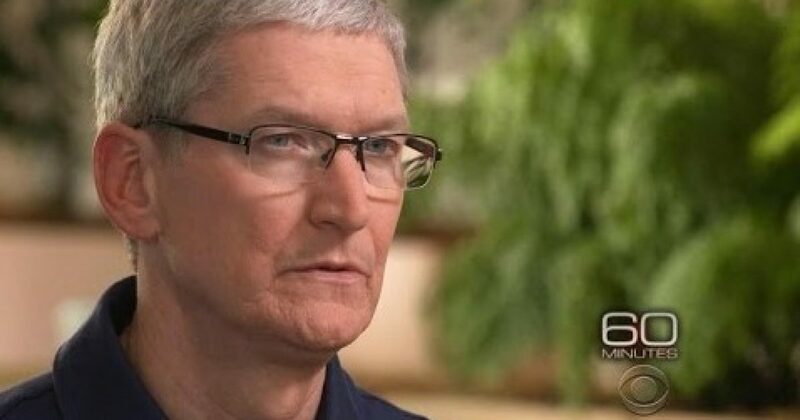 In an interview with ABC News, Cook discussed a number of recent announcements by Apple, including their plan to invest $350 billion in the U.S. economy over the next five years and how President Trump’s tax plan will help the U.S. economy. Cook refused to “take a position” on how the new tax plan will affect individual Americans but commented on the corporate tax saying, “I do believe the corporate side will result in job creation and a faster growing economy.” Cook added that under Obama’s tax plan, the $38 billion tax payment the company plans to make as part of repatriating offshore cash would not have been paid. “I hope — I have that faith — that it will be used for great purpose for the country,” said Cook, “whether that’s infrastructure or education, or what have you, that will further supply jobs in the U.S.” Cook criticised the Obama-era tax plans saying that he “never thought” that the old tax system was “good for the United States.” Cook stated that he believed the harsh tax restrictions forced “people to invest elsewhere instead of within the country.” Cook also believes that a company like Apple could only have been founded in America and they have a responsibility to give back to the country, “one of the ways to do that is to create jobs,” said…..